What I have noticed in my entire Blogging career is that, there is no any best business solution except having an online website also it is the most proficient thing for introduction and promotion of your product worldwide but it is not the end because you are not only one who have material also there is thousand of other spots for similar item. 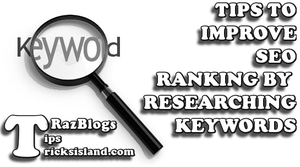 Therefore, what I am talking about is some tips to improve website SEO Ranking through keyword research. While browsing internet you can see there is thousands of online markets for buy sell options just as Olx.com etc. but there is lot of work behind to become on the top so I have decided to share some very useful tips to improve SEO Ranking by Researching Keyword. 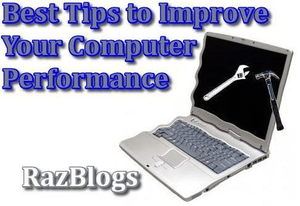 Best Ways to Drive More Visitors and Increase Your Blog Traffic – New !! The great challenge for every webmaster and website owner is to become on the first page of Google or other search engines but if there is so much competition around it will be more difficult to keep website ranking balanced. Still there is some solutions to manage and keep your website ranking which will drive some awesome traffic to your website or Blog. If you search the above line in Search Engines, you can find hundreds of Keyword Research Tools online which are available almost free of cost. Before all these I was check through Google Keyword Tools but recently Google has update this tools with Keyword Planner with more reliable functions. By using these tools you can find the exact information for what peoples are looking around the word and which words are used to be searched in most of the search engines then collection the complete information and save your targeted keywords and use them into your next post with natural look. These are the tough lines for every Blogger and Webmaster for their online business, because in this competition of online business always we have to think like customer and this is the thing which will help to get some awesome leading edge. In the race of this online business competition there are some consumer companies who are using accurate and actual keywords by using online keyword tools and get great result through search engines. As above I have mention that collect the right and well researched keywords by using tools and use it in your article but it is not enough, you have to use all these keywords in natural look and on the right place. Place your targeted keywords in the first paragraph then use it the middle section of your article and finally in the bottom but must be sure that keyword density is between 2%—-4%. If you have followed above paragraphs properly no one can beat you in this online competition. Hope you have enjoyed this useful article for Improve SEO Ranking. For getting next update infront of you must follow our social media profiles or subscribe our RSS feeds to get next update directly in your inbox.. Regards.